NorthPointe Hospitality Management has opened the new Crowne Plaza North Augusta, located in the $200-million Riverside Village development, along the banks of the Savannah River. The new 30-acre mixed-use development combines a pedestrian-friendly neighborhood with single family homes, condominiums and apartments; a town and event center; restaurants; brewery; outdoor center; and the new SRP Park, home of the Green Jackets Minor League Baseball Team. The five-story upscale hotel includes Crowne Plaza’s newly patented WorkLife Room design; 180 guestrooms and suites; a 120-seat restaurant and bar; rooftop bar; 11,000 sq. ft. of interior meeting space that includes a 5,400-sq.-ft. ballroom; 6,000 sq. ft. of outdoor meeting and event space; outdoor pool; and a fitness center featuring Peloton bikes. The general contractor for Crowne Plaza North Augusta is Brasfield & Gorrie of Birmingham, AL. Architects are Rabun Rasche Rector Reese and Wakefield Beasley & Associates, both of Atlanta. 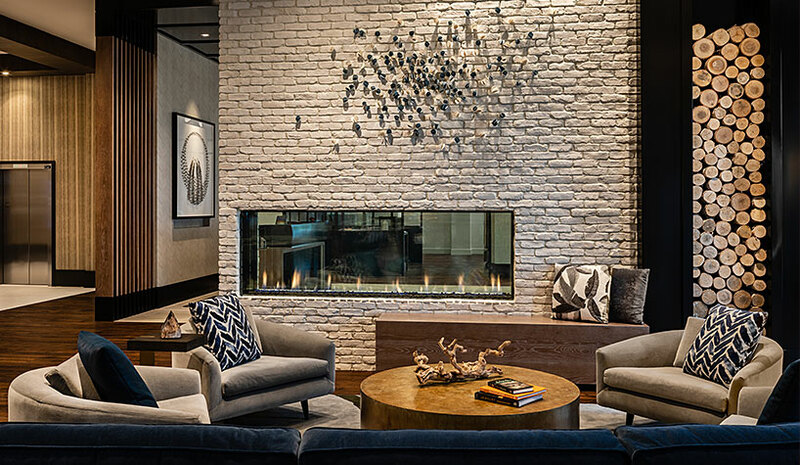 The interior design firm is Atlanta-based Sims Patrick Studio. Maya Hotels has opened the five-story Hilton Garden Inn in Gastonia, NC. The 119-room, upscale hotel has modern and contemporary designs, the brand’s hallmark bright and airy decor, and more than 7,500 sq. ft. of meeting space with full catering. The new hotel is located near the U.S. National White Water Center, Crowder’s Mountain State Park, Schiele Museum of Natural History and Daniel Stowe Botanical Garden. The property also has Garden Grill & Bar on site, a full-service restaurant with a lounge and full bar. Additionally, guests have access to The Shop, a 24-hour, grab-and-go retail space, offering an upscale mix of healthy, indulgent and fresh foods. The 191-suite Residence Inn by Marriott in Myrtle Beach, SC, recently opened. The all-suite hotel will operate as a Marriott franchise, owned and managed by Sree Hotels of Charlotte, NC. The oceanfront property is two miles from Myrtle Beach International Airport and offers its guests access to Market Common, Family Kingdom Amusement Park, Barefoot Landing, Broadway at the Beach and Coastal Grand Mall. The hotel also provides an on-­site restaurant, Driftwood. Marriott International’s TownePlace Suites by Marriott Charleston–North Charleston is now open for business. The new hotel will operate as a Marriott franchise, owned and managed by NMR Hospitality Management Group of Aiken, SC. It close to the Charleston International Airport, Northwoods Mall, Carolina Ice Palace, the Tanger Outlets, downtown Charleston and Joint Base Charleston.